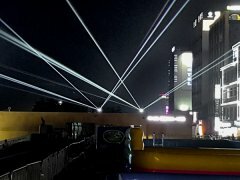 Our local Laserworld Korea office accompanied a laser installation project of two RTI PIKO RGB 20 show laser systems on the beach of Boryoung (Boryeong) in the South Korean region Chungnam. The beach, which is known for the Boryeong Mud Festival, has another eye catcher now: the two high-performance units of the RTI PIKO series with their particularly good beam profile ensured high visibility, which is very important at local conditions. 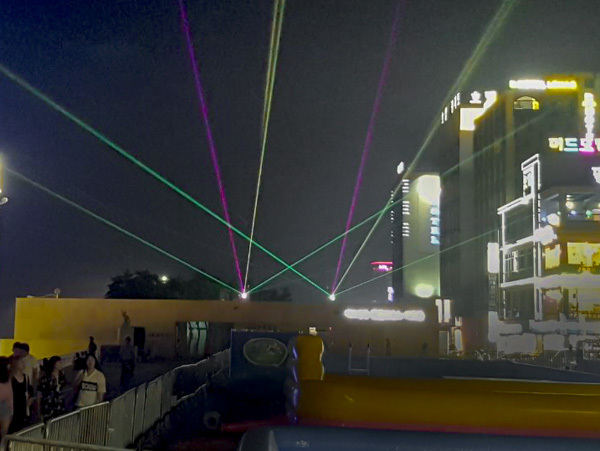 A twenty minutes laser show is shown to the visitors three times a day. 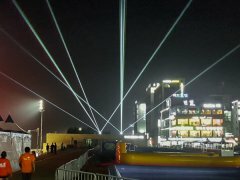 The show can even be seen from the sea.